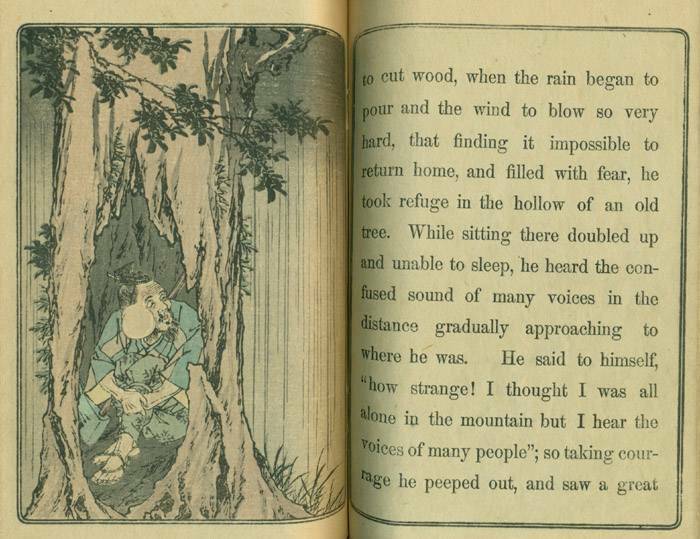 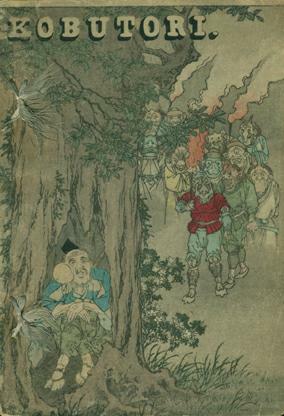 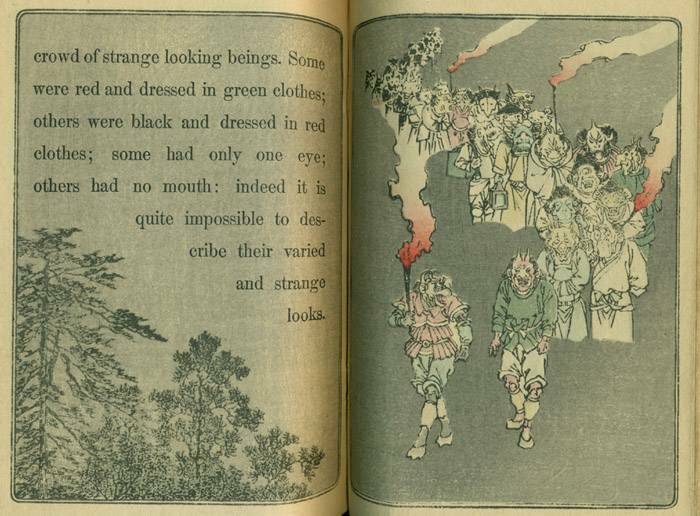 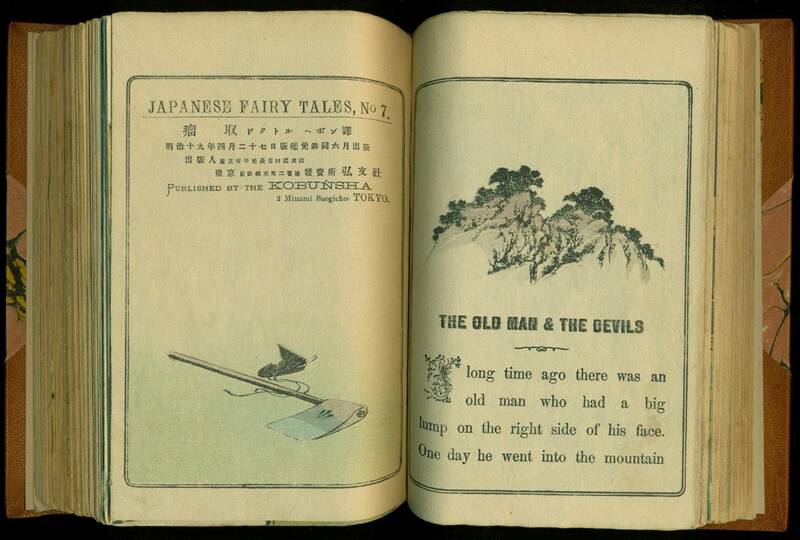 Kobutori, "Japanese Fairy Tales, No. 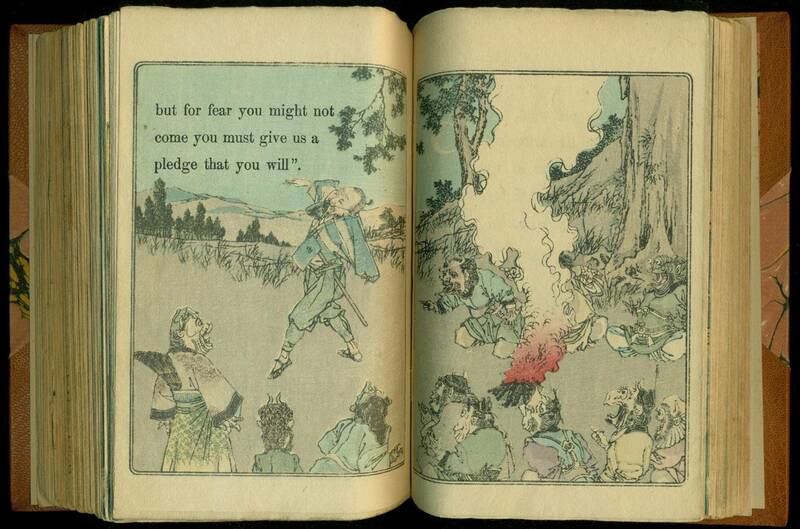 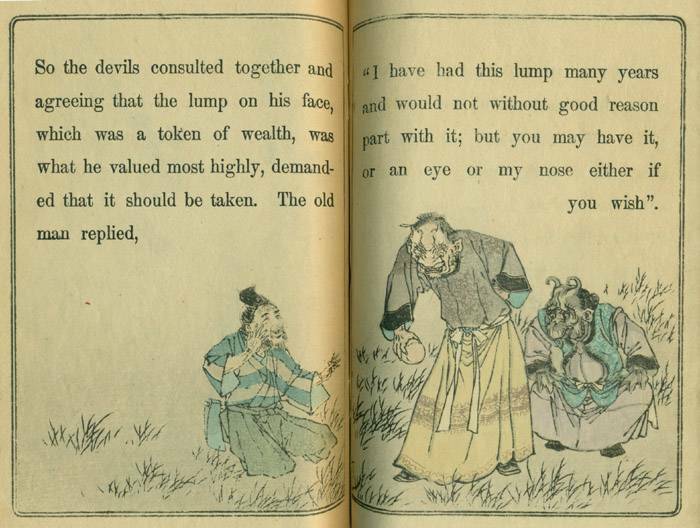 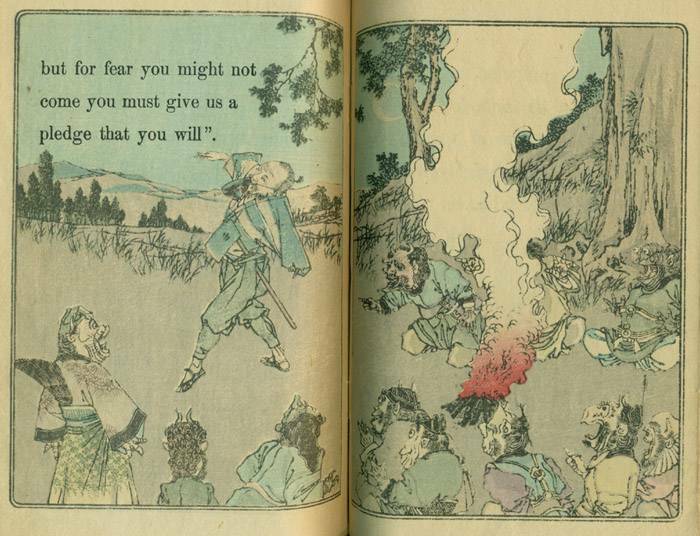 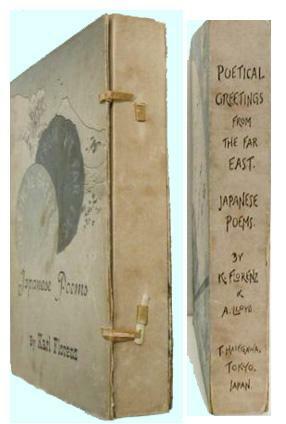 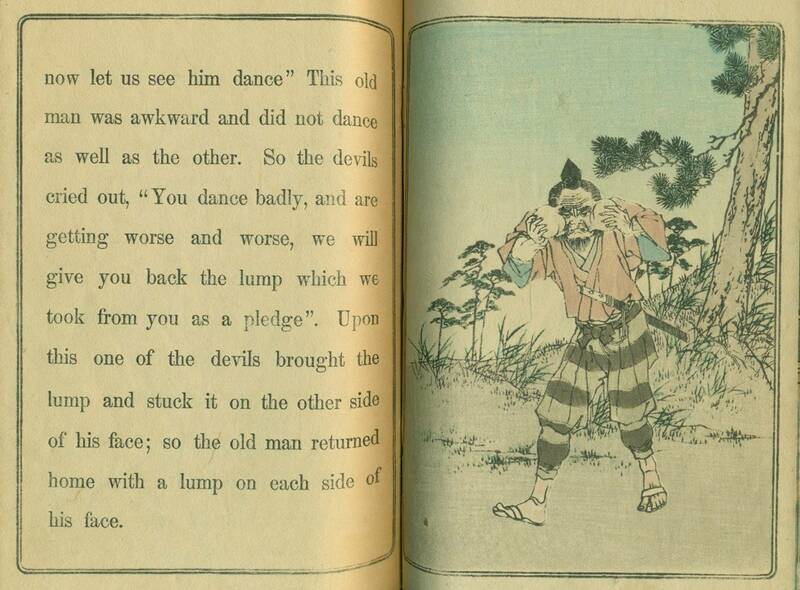 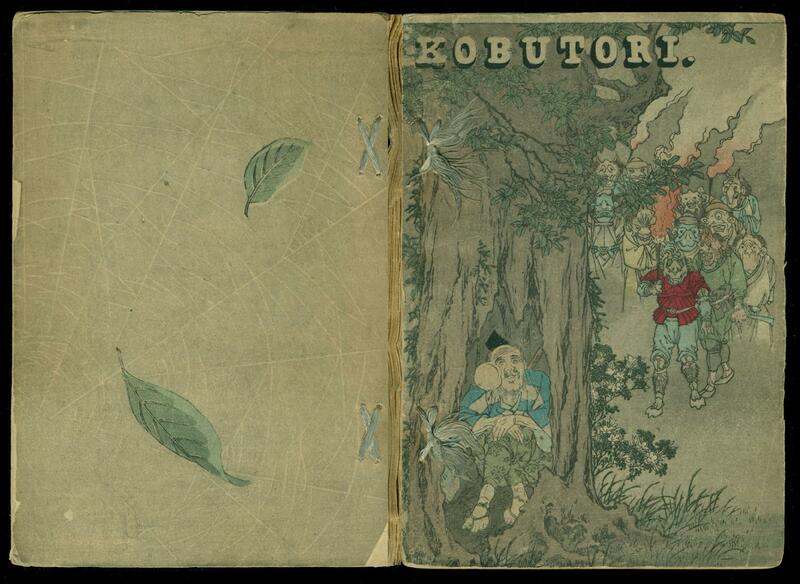 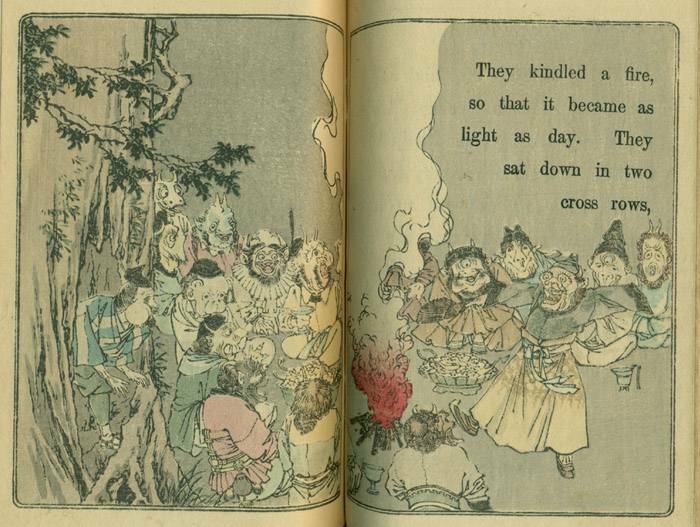 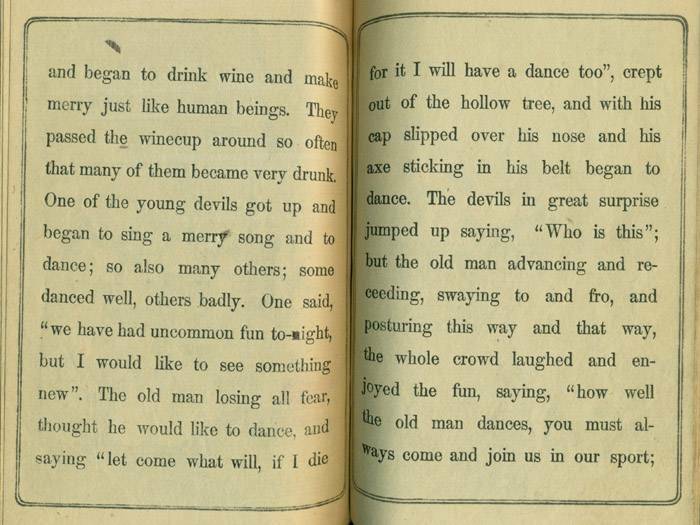 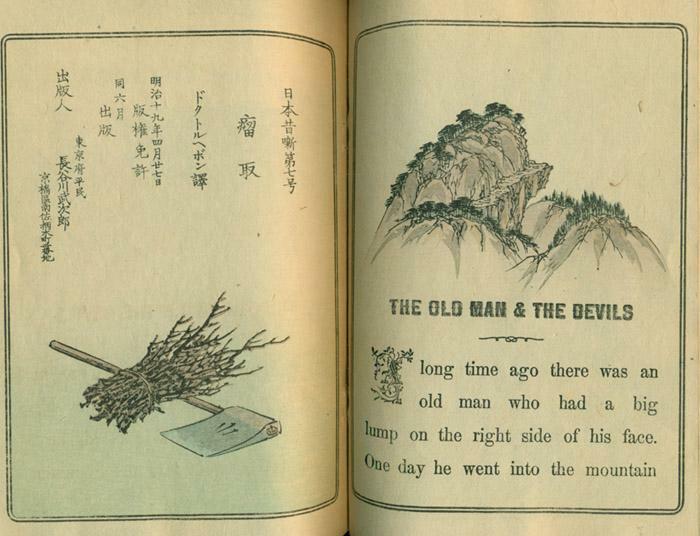 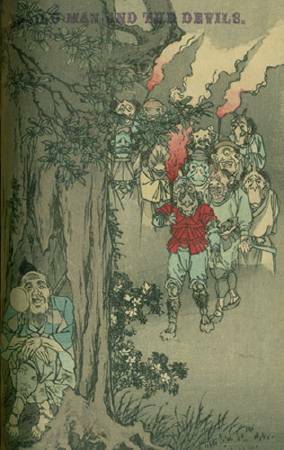 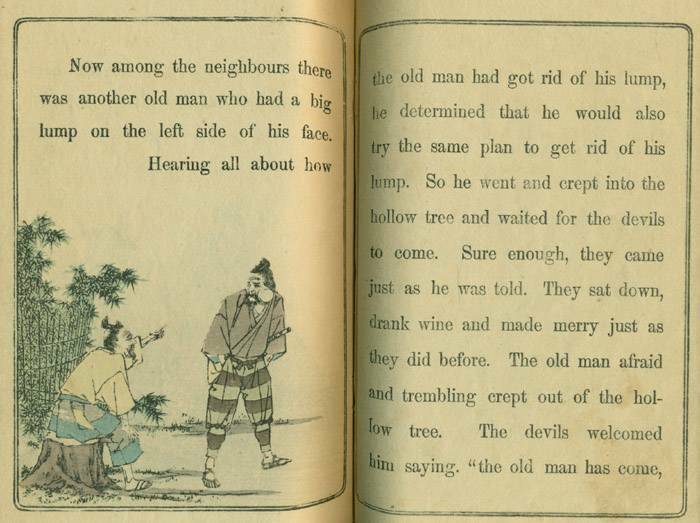 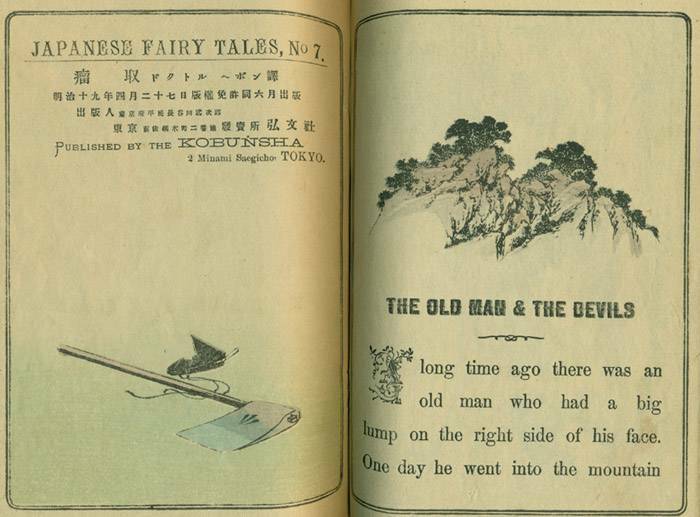 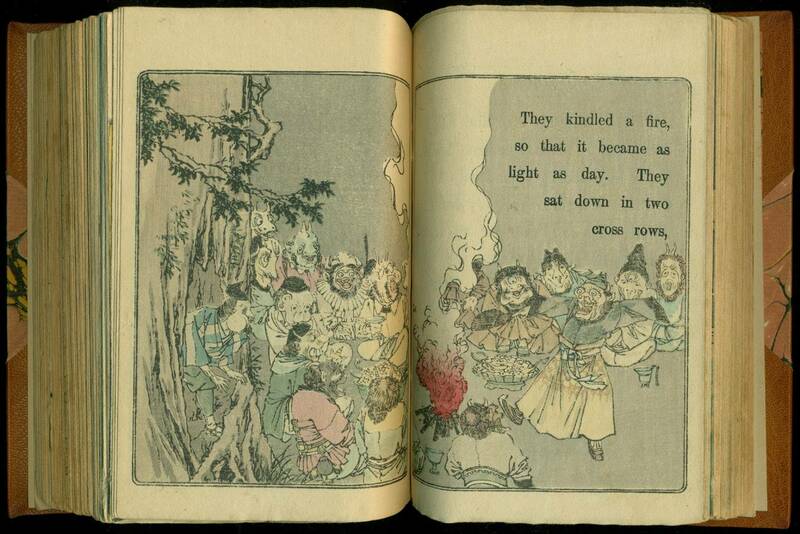 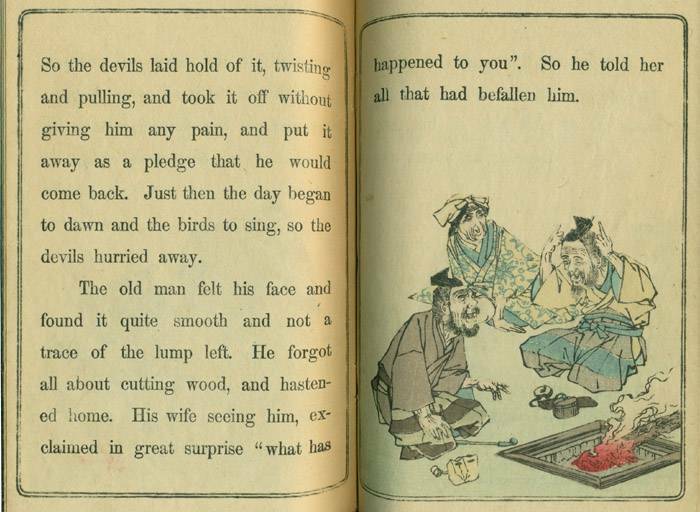 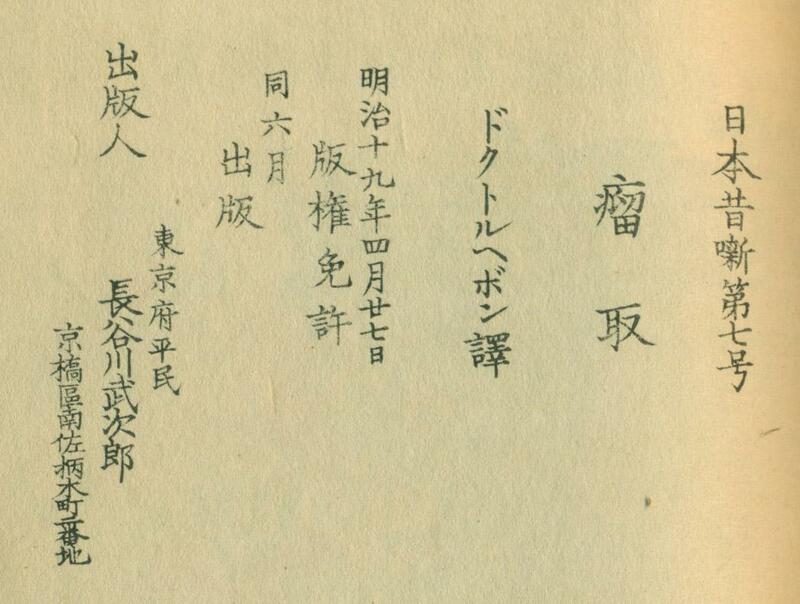 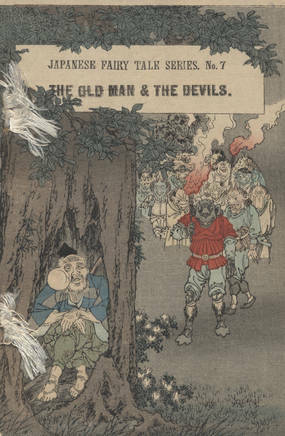 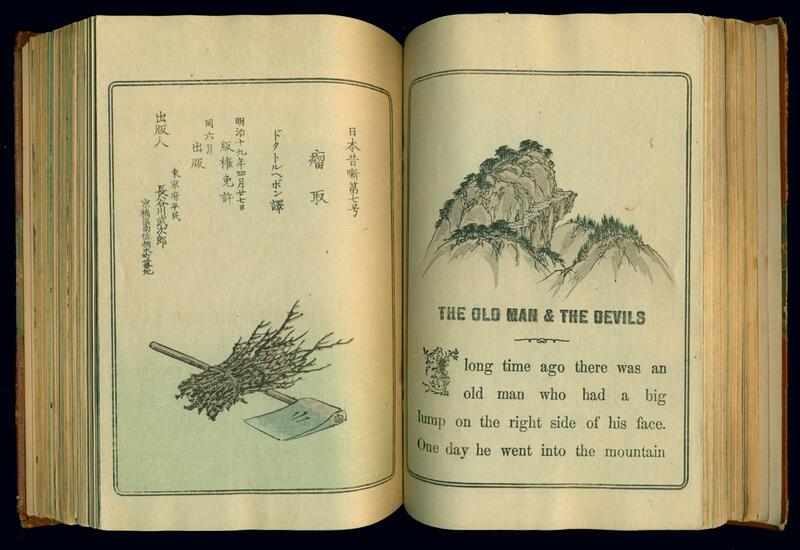 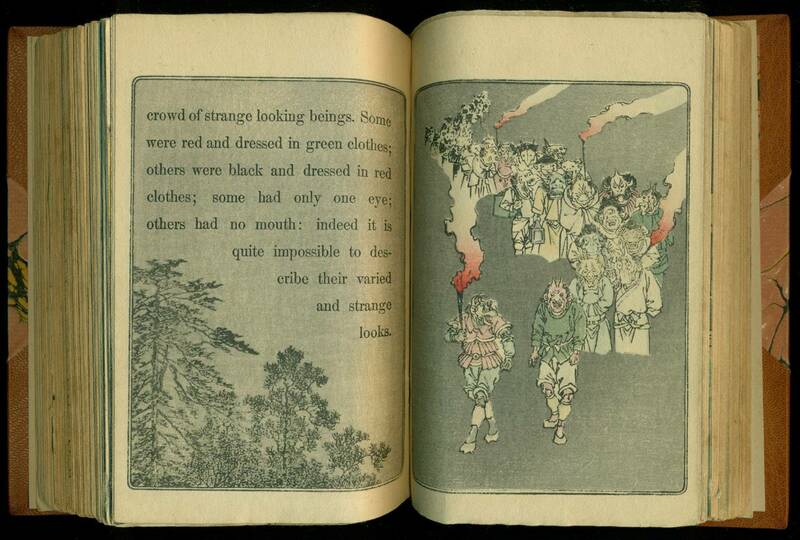 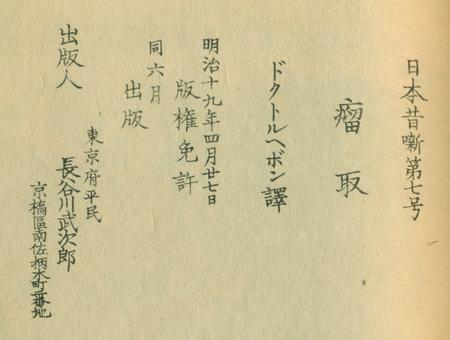 7, Meiji 19 (1886), Tokyo (2 Minami Saegicho), Kobunsha imprint, title on cover is transliterated into English (Kobutori) or translated into English (The Old Man and The Devils), medium size for a Hasegawa/Kobunsha book, 12mo (4 5/8 x 7 1/4 in - 11.6 x 18.2 cm), plain paper (not crepe) in folded sheets, 22 pp - 11 folded pages (including covers). 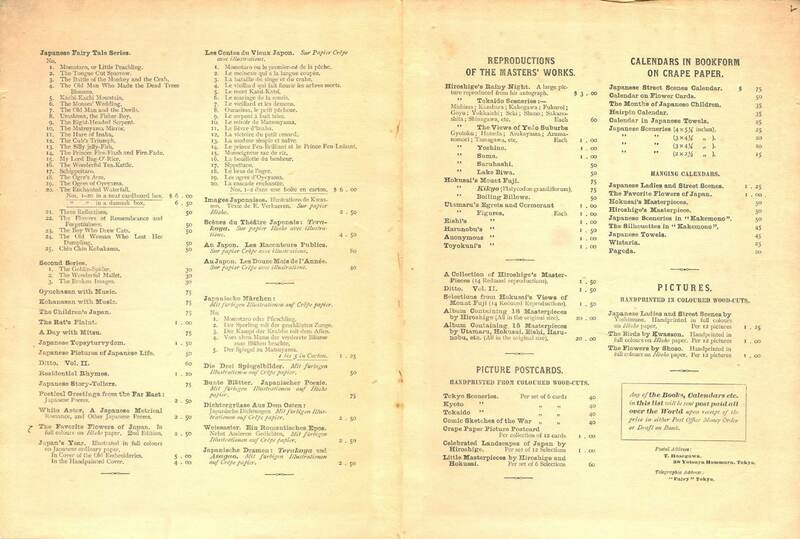 The colophon indicates a printing date of April 4, 1886 and a publication date in June. 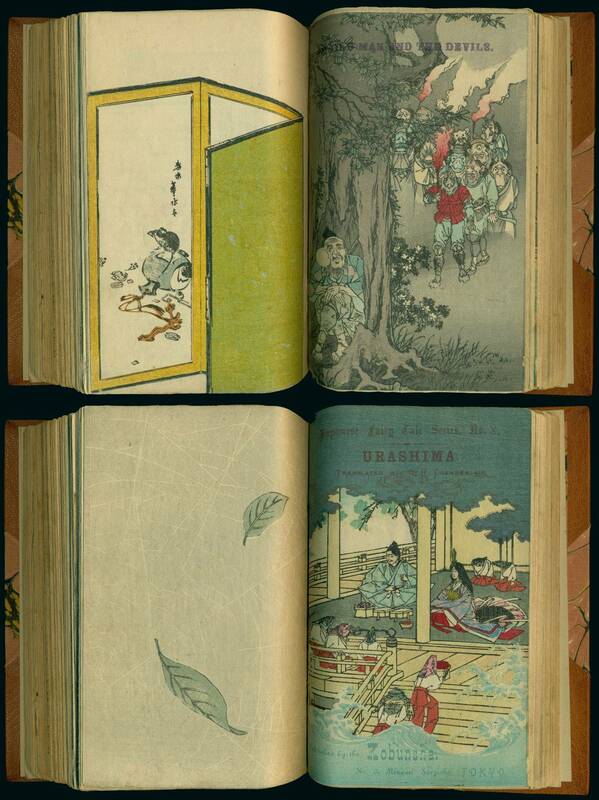 The book with the Type A cover is slightly wider and measures 5 x 7 1/4 in (12.6 x 18.3 cm). 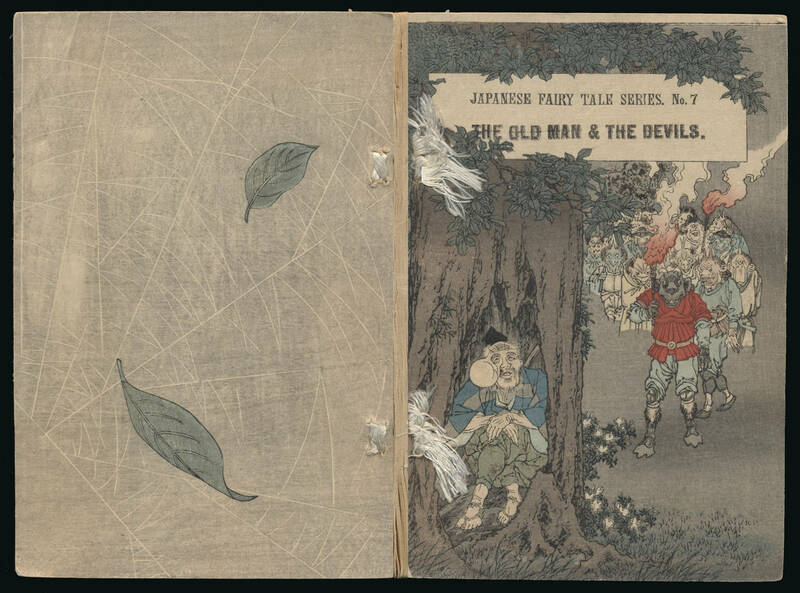 The book with the Type B cover is essentially the same book as this crepe paper edition published ca 1889.